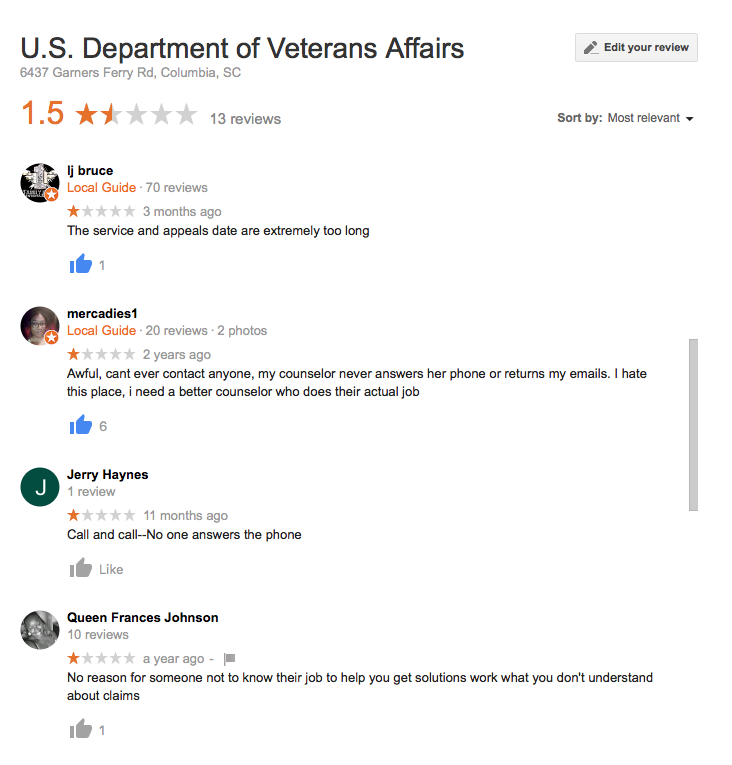 If you have used or been contacted by the South Carolina, Columbia Regional Veterans Affairs Office, we'd like to hear more about your experiences. Participation in this survey is both confidential and anonymous. This survey is being conducted, free of charge, by Operation Vet Fit. Information gathered will become part of our official agency report to the Office of Inspector General, Congress, and the Director of the Department of Veterans Affairs. What is your current disability rating? If you answered yes above, who did you complain about? Which Office? Feel free to share your experience details below. Feel free to provide details of your experiences with this office. This is optional and will remain confidential if you choose to provide your name. Your email address is also optional and will remain confidential. Providing your email will allow us to contact you with survey results and or requests for further information on your behalf. 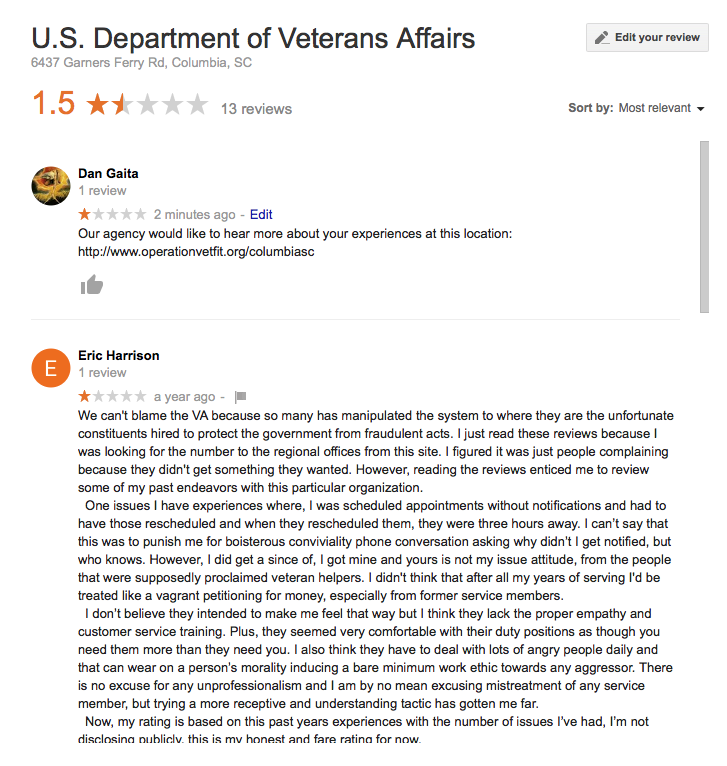 Thank you for your feedback as we collect information that will hopefully improve VA services through this location.